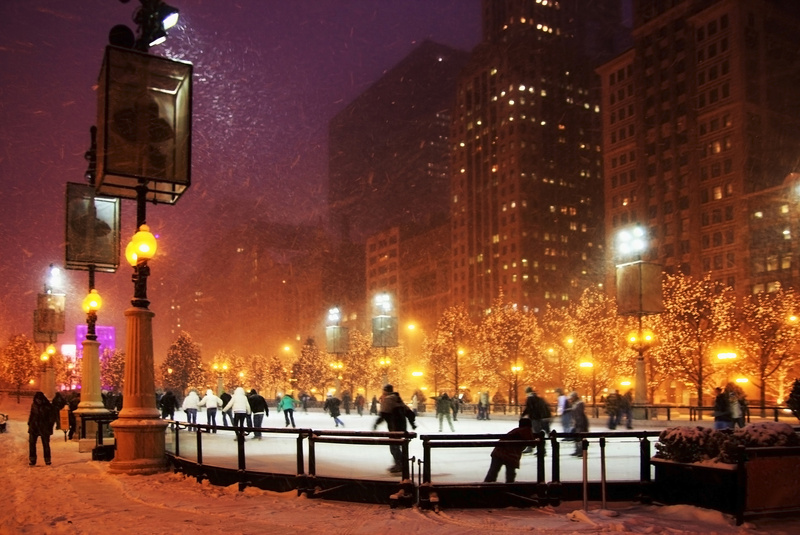 Winter in Chicago can be full of fun, but also the best and safest time of year to prune most trees! In the middle of a Chicago winter, yardwork of any kind is probably the last thing on your mind. The ground in your yard is likely frozen and the plant life, including the grass, trees, and shrubs are dormant. For the most part, you must wait until the spring to start your yardwork for the new growing season. However, there is one thing you can do during the winter to help your trees and shrubs; pruning. Tree pruning is highly recommended during the winter, especially for woody plants, while the tree is dormant. Winter tree pruning has many benefits including the promotion of new growth in the spring, and it is easier to prune when the leaves are gone and all the branches are visible. You should consider pruning your trees at this point in the winter to shape them and remove branches that are diseased, dead, or too close to a building or power lines. While it is possible for you to prune your trees yourself, pruning can be a difficult and even dangerous job. Improper tree pruning can be harmful to your trees and shrubs and if you attempt to prune tall trees without the proper training or equipment, you could seriously hurt yourself or damage your property. By hiring a professional arborist like Hendricksen Tree Care to handle the winter tree trimming, you can ensure that your tree will be pruned correctly by professionals with the proper equipment and training to do it safely. In this guide, we will discuss the benefits of pruning your trees in the winter to help promote new growth in the spring and maintain their health and appearance. Remember, it is best to hire a professional for tree trimming services if you are not sure of how to trim your trees correctly or if pruning your trees yourself will put you or your property in danger. With effective pruning, branches that are dead, dying, damaged, or diseased are removed from the tree to protect its health. Branches that are rubbing or crossing are removed as well because these branches will eventually damage the tree. You should also consider trimming or removing branches that are close to power lines, buildings, and other structures for safety reasons. Pruning young trees can strengthen them and help with their structural development. Proper pruning when a tree is young will prevent structural issues that develop in older trees and help the tree establish a strong central stem. Pruning trees stimulates new growth. This is because the main shoots that grow the most vigorously on a tree can inhibit the growth of the other shoots. Trimming back the main shoots will stimulate the other branches to grow and encourage new growth. Trees are easier to prune in the winter when there are no leaves. The absence of the leaves reveals the full structure of the canopy which makes it easier to identify and access branches that need to be removed. Pruning the tree while it is dormant will help stimulate new growth in the spring. The wounds created by pruning are not exposed for long until the new growing season which is less stressful for the tree. The absence of leaves also helps because leaves produce sugar that can disrupt the growth of the branches. The remaining branches will experience a burst of growth when the spring season arrives. Winter tree pruning can help protect your trees and shrubs from insects and disease. Insects and diseases that are harmful to trees are dormant in the winter, so the pruning wounds are much less likely to be affected. In the spring, the fresh wounds may become infected by disease causing fungi or attract insects that spread diseases and damage the tree. Diseased branches can also be safely removed during the winter while the disease is dormant to protect the rest of the tree. Pruning your trees in the winter will give them the strength and energy they need for the growing season. This extra energy will stimulate growth in the spring and allow the tree to heal quickly from the pruning wounds. One important thing to remember is that winter pruning may not be the best option for trees that produce fruit and flowers. 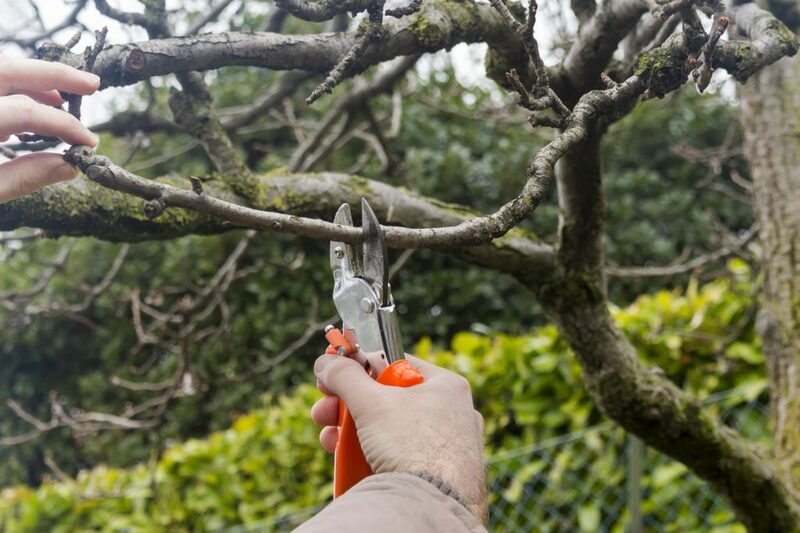 While winter pruning will not negatively affect the health of a flowering or fruiting tree, it can inhibit the production of fruit and flowers. If you have trees that produce flowers in the mid to late summer, they should be pruned in the winter or early spring. For trees that produce fruit or flowers early in the spring, you should wait until after they bloom to have them pruned. If in doubt it is best to work with an experienced Chicagoland arborist such as Hendricksen Tree Care. 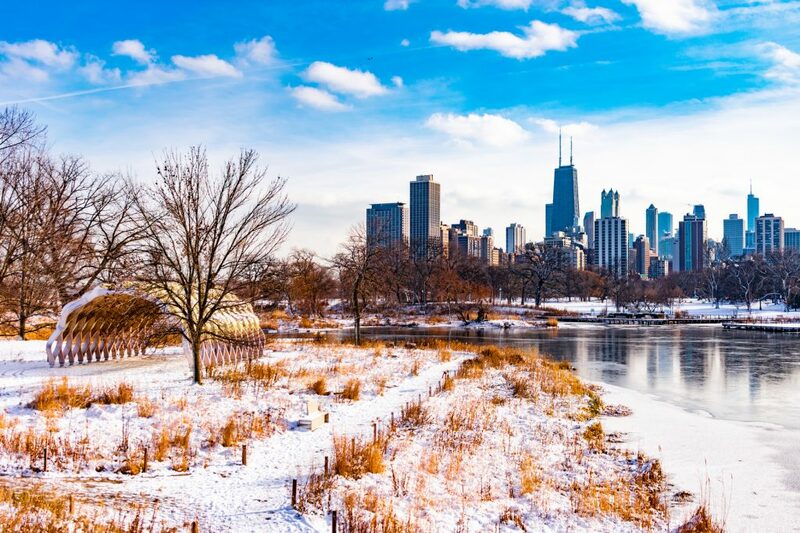 Set your Chicago trees up for a beautiful Spring, by professionally pruning them this Winter! Pruning is an important part of tree maintenance that is most beneficial when done in the winter. Winter tree pruning will improve the shape of the tree, promote new spring growth, and give it the energy and strength it needs to stay healthy throughout the growing season. However, it is very important that the pruning is done properly, or the tree could be adversely affected. Our ISA certified arborists at Hendricksen Tree Care have the expertise and equipment to effectively prune your trees so that they are ready for the new growing season. We will identify troublesome branches that need to be removed and help shape the canopy to improve its structural integrity and appearance. Our arborists always use the best available safety equipment to keep themselves and your property protected during the pruning process. Contact Hendricksen Tree Care this Winter for both residential tree pruning and commercial tree pruning in Chicago, IL and the northwest suburbs.